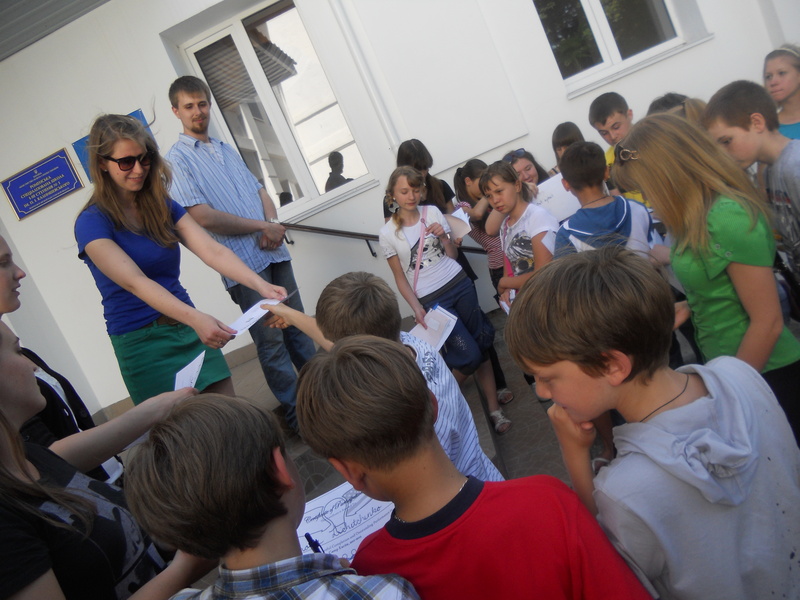 School Number 1 was a whirlwind of English language activities in May. (It is no wonder we are the best in town) I am so proud to be a part of such an amazing group of people. 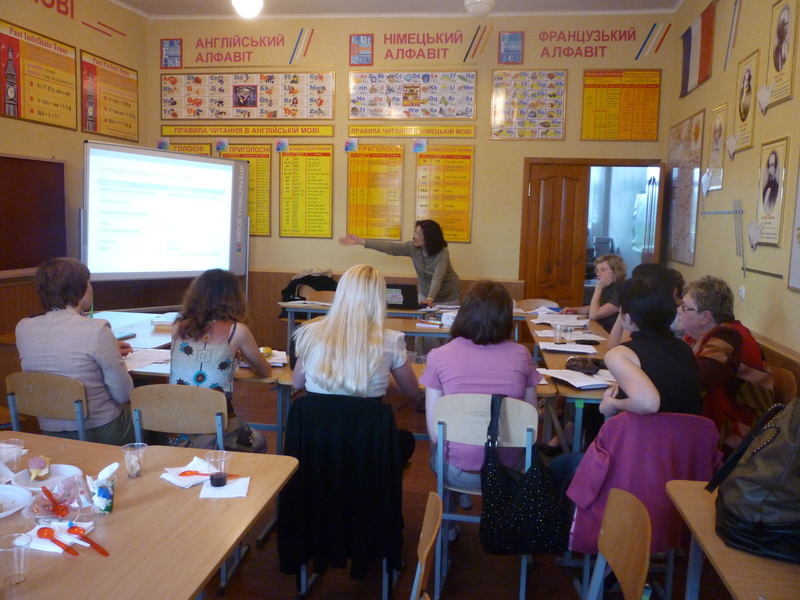 First, we were able to host Carol Haddaway, the Senior English Language Fellow from the English Teaching Resource Center in Kiev for two afternoon teacher training workshops. All eleven of our school English teachers were able to attend. We learned about such topics as Classroom Interactions and Learning Styles. Second, the amazing Camp EXCITE visited our school. Camp EXCITE is an English language immersion camp for secondary school Ukrainian students that is designed, led and taught by Peace Corp Volunteers from Sumy Oblast (my Oblast!). They host a week long summer camp, but the best thing about this camp is that it travels around the oblast doing weekend camps at various PCV sites when school is in session. These weekend camps produce interest and fundraise for the summer camp. It is also a great way for oblast mates to help each other out and travel. Some campers and PCV staff posing for the inevitable photo session after most every Ukrainian event. Some of my favorite 7th form girls and I after a class on Denmark! Third, our school performed an entire concert 4th – 10th forms, in English, to honor the participants and winners of the Greenwhich English National Language test. Out of our 177 participants, we had 32 students that won a national gold, silver or bronze prize. The concert was attended by the entire school and a huge success. My counterpart, Lesia, giving a speech at the end of the concert. Fourth, there is a new national rule that students will start to learn English in the 1th form in contrast to 2nd form. Since my school is Specialized in Language learning, we already teach English in the 1st form. Therefore, our school was asked to give a presentation to all the English teachers of our local region on the structure of our English department and specfically how to teach young learners. My co-workers are extremely active, so I think we represented well. It was a great end to my first semester at school #1 and I am so excited to begin again in the fall. I have so many project and lesson ideas swimming around in my head. I wander which English school is the best in the world? I guess that best are in UK and US, but who knows?